The word ‘Influencer Marketing’ has been floating around for a while now, but has proven quite puzzling to new businesses owing to the often contradictory advice of articles and sites. Marketing agencies with their own agendas would hardly give unbiased advice. So, we headed to the field and compiled the most essential bits so that you don’t need to head to 100 sources for the information you need: we bring to the A to Z of Influencer Marketing in this article. - How do I find Influencers? - How do I use Influencer Marketing for my store? - How do I choose the right influencer? - What type of content do I request? - How do I contact influencers? - Three Brands doing Influencer Marketing right. First off, What exactly is Influencer Marketing? Now that new media such as Instagram, YouTube, Facebook have taken over- a number of creators of small fame have risen with loyal followers who listen to what they have to say. 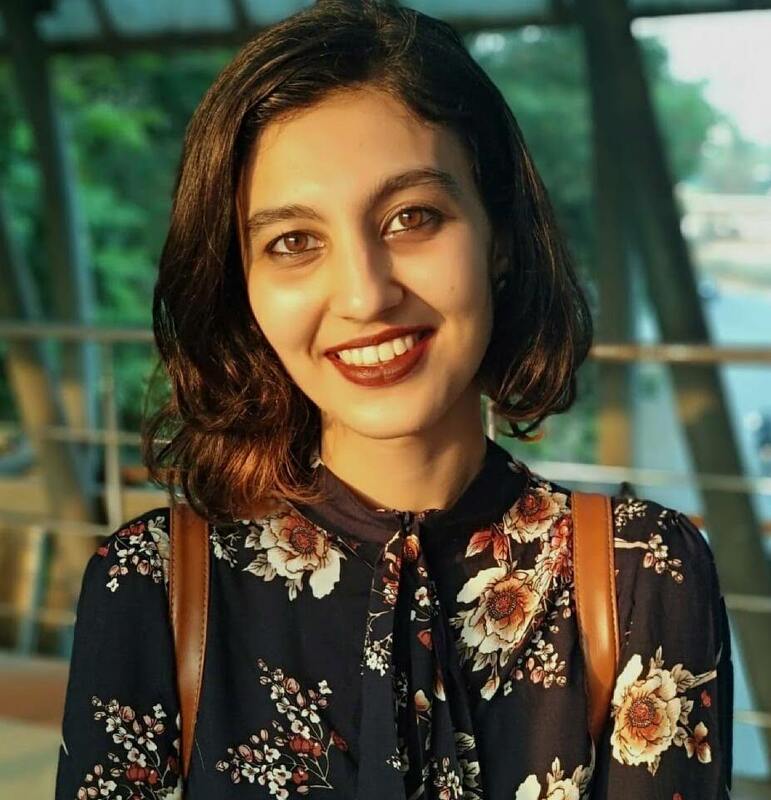 You, as a retailer, can make a deal with such ‘influencers’ who have carved out a name for themselves and built a community that trusts them to advertise your products or service. Influencers come in many shapes and sizes: beauty bloggers, fitness experts, gamers, e-commerce specialists: the list goes on. We will speak about this later in the article. Why use Influencer Marketing for your store? That is an extremely easy question to answer! Because this type of marketing works. Influencer marketing delivers 11 times the ROI that traditional marketing does- and around 86% marketers have used it. This means your competition is using it, and quite successfully as well. But let us go one step deeper and figure out how it helps your store. As a consumer, you are likely to trust the recommendations of your peers or of someone you follow and relate to. 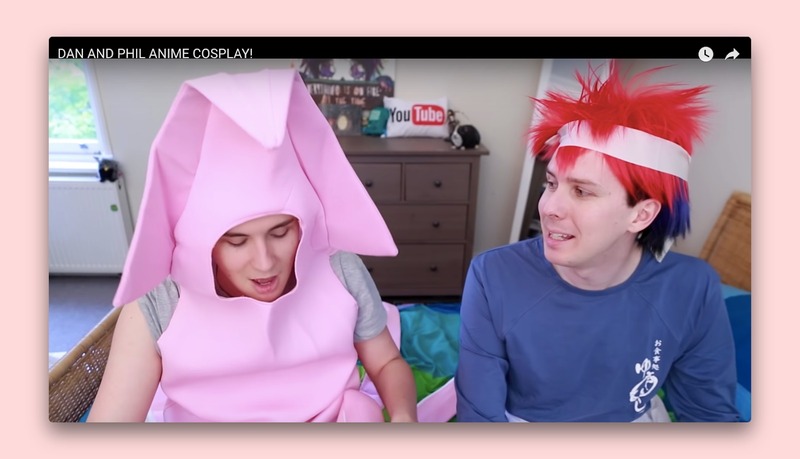 YouTubers and Influencers have spent time cultivating an audience that is interested in what they have to say. Put simply, the audience trusts the influencers to be honest with them. 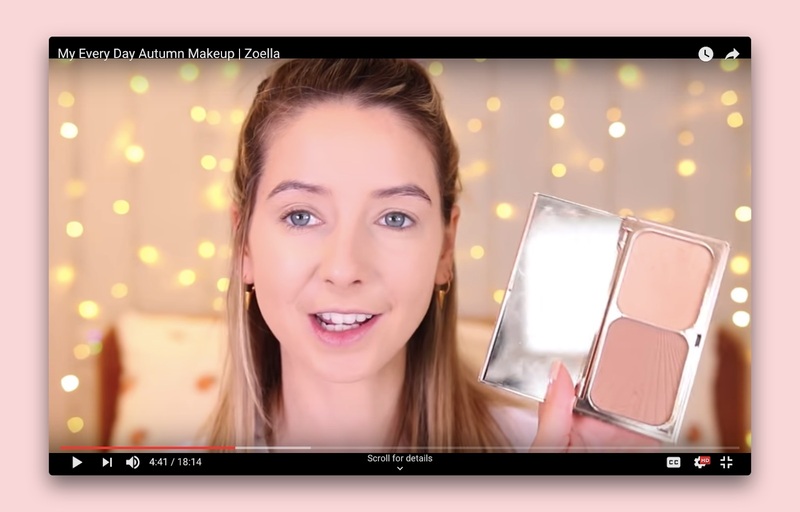 In fact, celebrity endorsements are quickly fading away: social media influencers are taking the limelight with 92% people trusting recommendations from an influencer over an ad or one from a celebrity. This is because people view these channels as authentic and real. 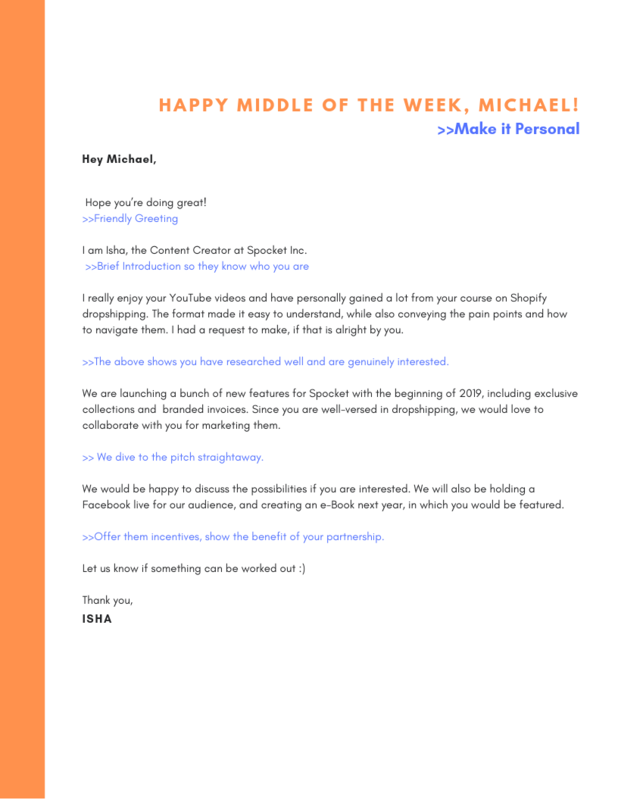 Once you are backed by an influencer, you can use their words as a testimonial on your store. This will help build your store’s reputation as a well-liked, reliable brand. While influencers also bring sales, the most important thing that they bring to the table is brand awareness. With over 10,000 or more followers and a creative voice that allowed them to have authority in the social space- partner brands will have exposure in a saturated marketplace. This is one of the best forms of inbound marketing: attracting customers through influencer content. 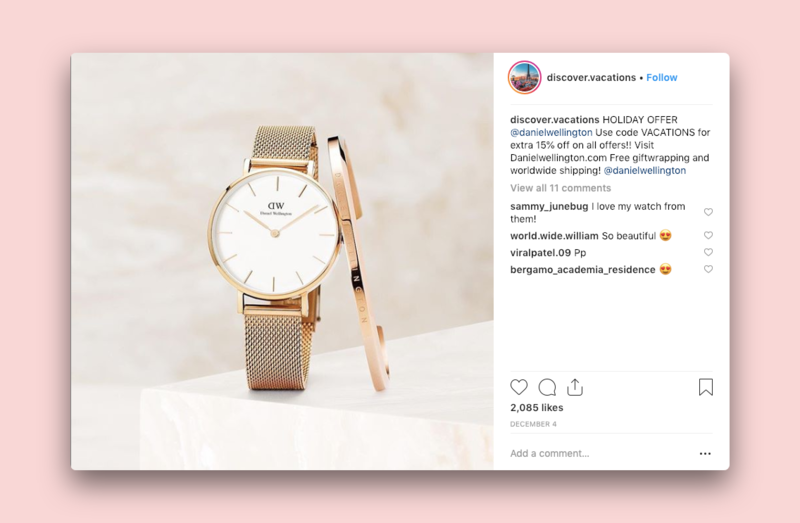 Additionally, this drives traffic to a store’s personal instagram, website or store and starts a conversation about the brand. Working with influencers is a win-win for any brand, also considering that the rates are often lower than advertising through other media. Now that we have established the power of Influencer Marketing, the second step is getting right into it. Finding Influencers is not hard nowadays- while a number of agencies have cropped up, they charge ungodly amounts that you, especially as a small business, can do without. The internet has a number of free marketing tools to start off with influencers as well, so we recommend going with those. 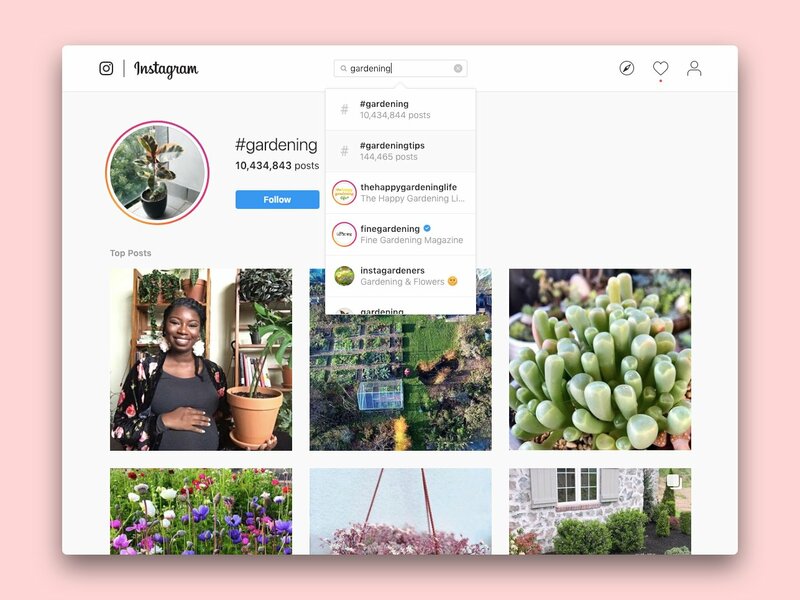 The first way to find influencers on Instagram is simply by using the search bar to find a well populated hashtag for your niche, and checking out top posts in the results. We will be going into the details of choosing influencers for your brand, but finding them through Instagram is the easiest and most effective way. A second way you can search for influencers is through dedicated tools such as MuseFind. The platform will help you find prominent influencers in each field- plus, it is geared specifically for smaller e-com teams and businesses. MuseFind streamlines the process from finding and contacting influencers to organizing their follow up all in one. We will be speaking at length about red flags and other details while choosing an influencer, but the above methods will help you find potential target influencers for you store. But first, let us see what you can utilise influencer marketing for. 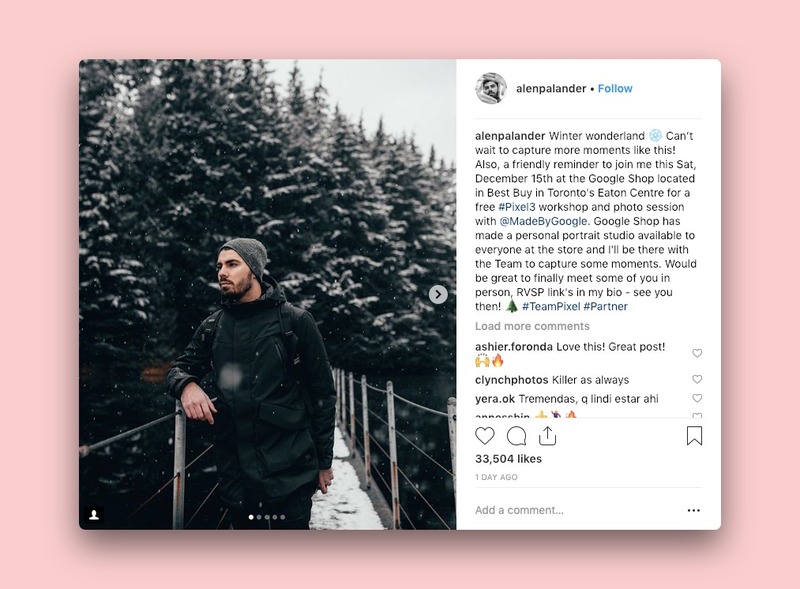 How do I use Influencer Marketing for my store? As mentioned in the beginning of the article, influencers can increase the circle that is aware of your brand. For such a goal, you will need to target influencers that have huge audiences. Engagement does not play a big role here: as long as people see and remember your brand if it pops up, say, on a Facebook ad again- you’ve met your desired goal. In this case, you wish for audiences to treat your brand as a reliable place to purchase goods or services. You will have to create an influencer marketing campaign focussed on niche authority figures that create authentic content. 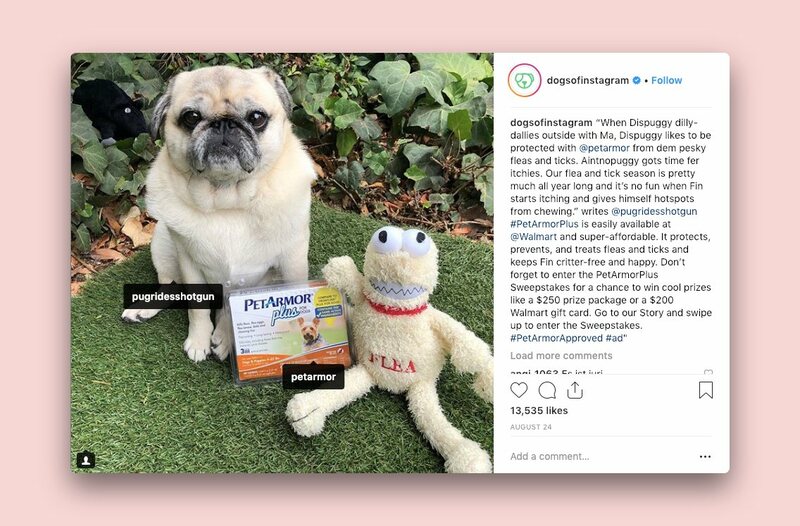 For this goal, longer tie-ups with a weekly story/post that mentions your product might be better, as it shows the audience that the product is used by the influencer. When you are launching a new set of products, you can create marketing strategies with influencers that allows the audience exclusive access to the new products. For this one- a comparatively big influencer within your niche would work best. Establishing trust and driving sales have some points in common: you’ll need an influencer in your relevant niche who creates honest, authentic content, primarily based off their own interests. Your store’s promotions should fit right into the influencer’s usual voice. For this one, you can go for a mid-sized influencer- the only metric that matters is engagement. Check how many accounts like the posts, respond via comments or participate in the live videos. A good engagement rate is anything above 2-3%. This means that the audience is actively listening and responding to the influencer’s content, which means they will be receptive to the content promoting your store as well. Now that you know which influencer works best for which purpose, let’s move to Step 3. One: You need to know your audience: variables such as age, gender, income, location and so on. This is an indispensable step in formulating your strategy. 43% people within the age group 25-34 followed influencers on Facebook. After the basics are ready, choose an influencer that has the same audience as your target audience, so that the right people hear about your brand. 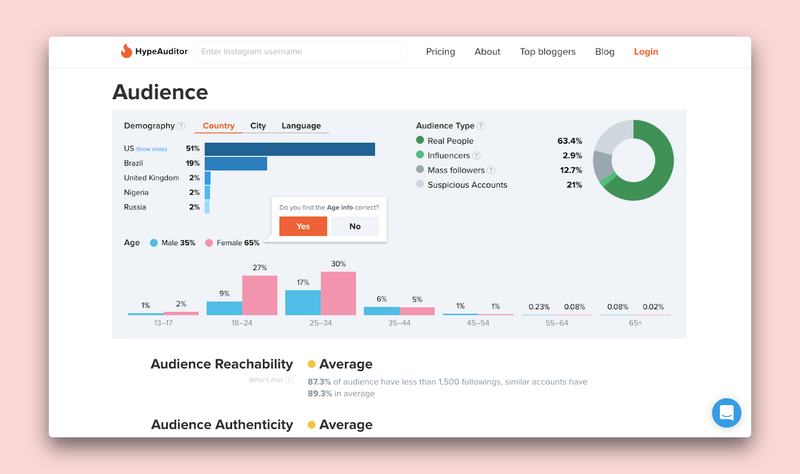 You can analyse an influencer’s followers using free tools such as HypeAuditor. Check out their followers. Do more than 10% not have profile photos? If yes, probably bots that are programmed to like posts. Most likely will not bring you any sales. Have a look at the comments. Generic ‘Nice pic’, ‘Beautiful’ comments by the same few accounts? They are probably a part of an instagram pod and will not contribute much to your store. The likes should be a comparatively steady number to ensure that that the content us driving the likes, and not an occasionally hit post. What type of content do I request? Make sure you’re taking all three when you make the deal- and if you can manage it, a mention on all their social networks, from Twitter to SnapChat! Clarify all details such as how long your post/link will be up and how soon will they add the next post on their account. With Facebook, if you can negotiate for your post to be pinned for about 48 hours- that works best! 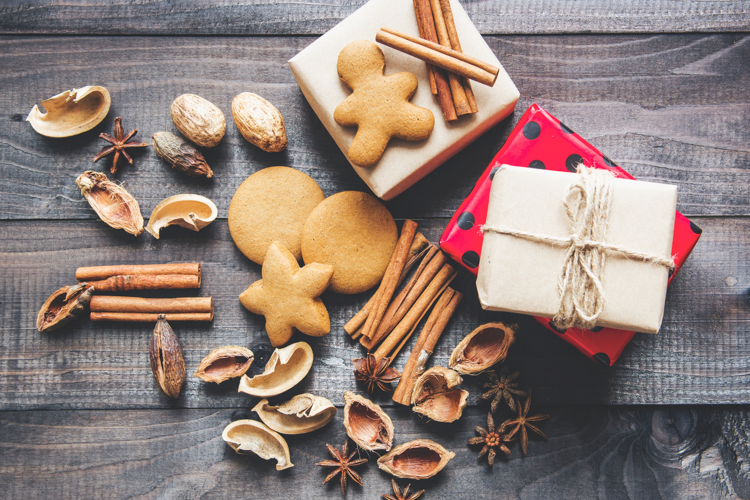 19% consumer purchase decisions are influenced by Facebook posts, according to research- and it is one of the top three social media platforms for influencer marketing. 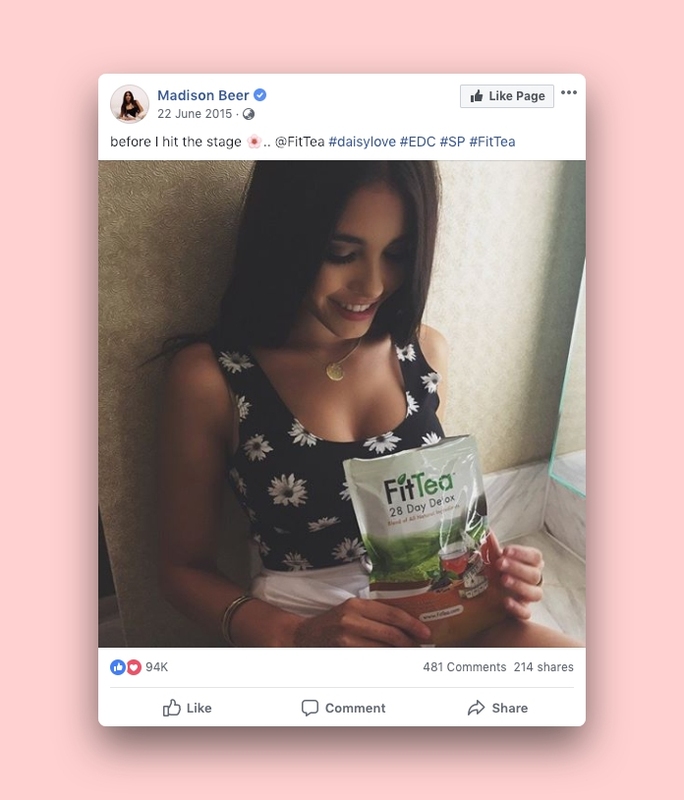 FitTea has a strong influencer marketing campaign spread over Instagram and Facebook, from the Kardashians to smaller influencers, all promoting the brand. This is one of the best ways you could promote your product as YouTube drives 18% consumer decisions as per the Collective Bias survey. Additionally, YouTube holds sway over 22.8% men with regards to buying decisions. If your target market is primarily male, this works perfectly. A giveaway is a great idea because it drives engagement for the influencer’s account, offers a chance for the audience to win a product and allows tremendous exposure to your brand. The below image illustrates the point beautifully, especially the chance to win the gift card is a wonderful touch. A typical giveaway requires the entrants to follow your instagram account as well, along with the influencer’s- often also instructing the contenders to tag their friends. 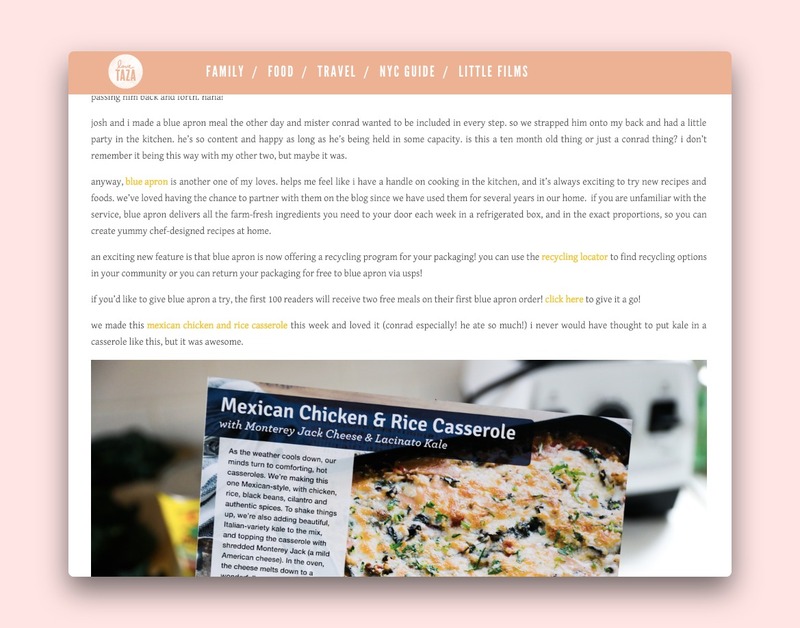 In case you make a deal regarding a blog post or a guest post on their blog, clarify what percentage of the post will concern your store/product. With this type of content marketing, the major lookout should be quality. Poorly written posts will do more bad than help. Blue Apron reached out to food bloggers such as Love Taza to gain a popularity through their well-established and religiously followed blogs. 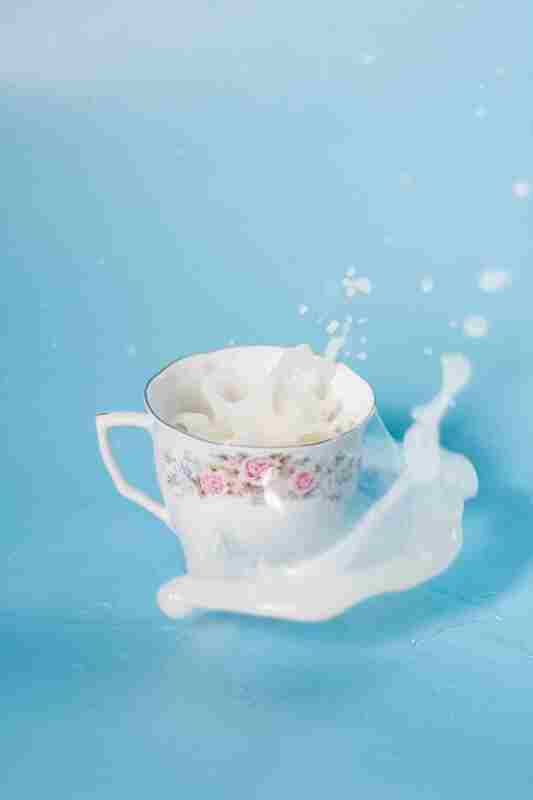 If you’re a regular listener of podcasts, the brand Squarespace cannot have evaded you. Or for that matter, Blue Apron. Podcasts are usually niche with a club of extremely passionate listeners. Promotions would work amazingly if your products were entirely in sync with the podcast theme. For example, if your superhero themed store with lots of Marvel goodies teamed up with a Superhero movie analysis podcast- that would be awesome! An influencer will review your product, fairly highlighting the benefits of your products- and post this content on their social network. This positive appraisal brings customers to your store, no questions! 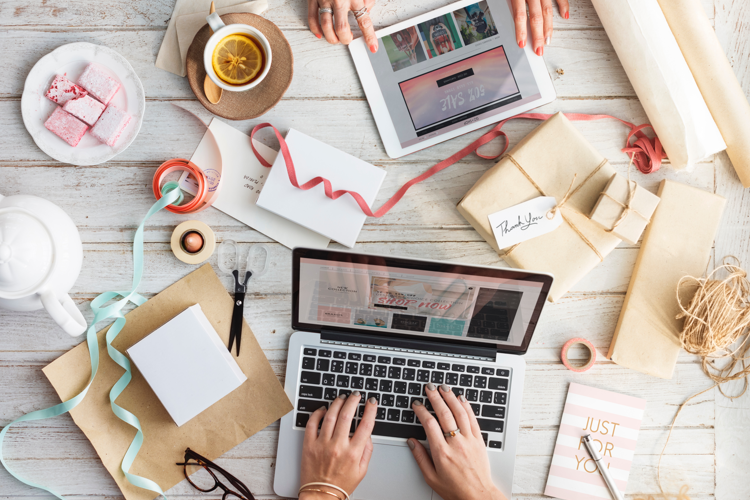 With all the above types of content, you have to make sure that the products you have on your store are quality-tested and have variables such as shipping, packaging and product images figured out. With Spocket products, you can make sure that all these standards are met, and at no cost. How do I contact influencers? If they have an email listed, go that route. Or else, you can DM them- but here’s where it gets tricky. Your message will go straight for the Message Requests pile and to stand out, you will have to make your first sentence interesting enough to click. Rather than beginning with the traditional ‘Hi’, let them know you’re contacting about a business opportunity, and use emojis- they grab attention. If you are emailing them, don’t beat around the bush. Be precise and short, and start by speaking about their expertise and their content. Be upfront and propose your desired outcome. 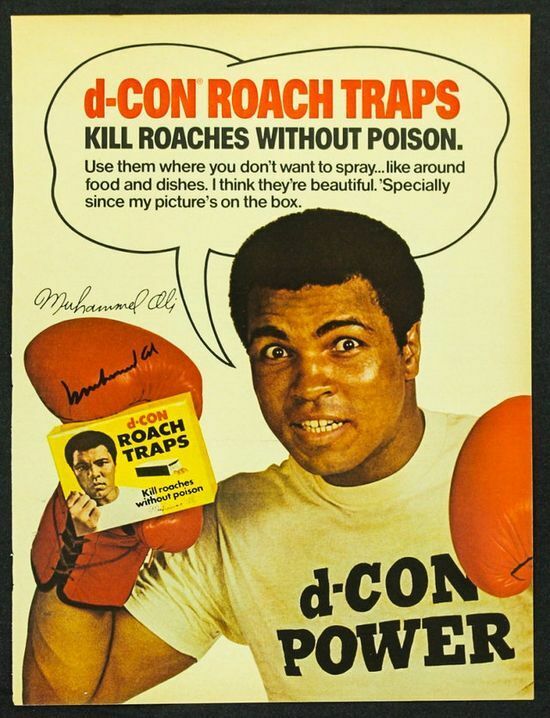 Make sure to mention the benefits of your product to their audience: and don’t be overly flattering. If they don’t respond within 48 hours, follow up- tweet out to them or DM them. Nothing despite that? Drop it and move on! Truthfully speaking, the rates depend on a number of factors. If you can build a partnership that continues for about 6 months with regular posts and sort of an affiliate structure, that would be most beneficial for your store. 1. Pay per engagement: This means every time a member of the influencer’s audience interacts with the content concerning your store (likes it, comments on it), the influencer will receive payment. Above these, the rates are usually 300 dollars for 3M followers, 500 dollars for 5M followers and so on. Influencers usually prefer pay per post arrangements. 3. Pay per click: The influencer is paid for the number of times someone clicks on the post to be redirected to your site/instagram account. 4. Cost per acquisition: The influencer receives payment per acquisition, which means every time the desired end-goal is met, usually a sale. This works most in your favour as you can simply create an affiliate partnership where they receive commission for every sale brought in. 1. Google’s Pixel: The Team Pixel hashtag has been doing pretty well, with top influencers in all sorts of niches from around the world promoting it. Check out their awesome campaign! 3. 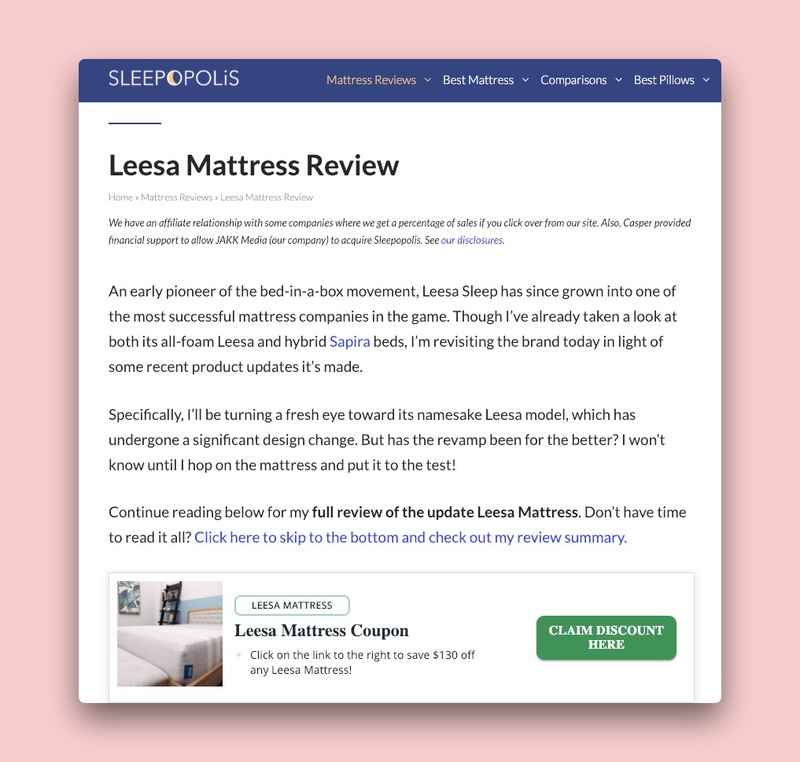 Leesa Mattresses: Through influencers with high engagement rates and unbiased reviews, Leesa reached a wide audience and generated conversions never seen before. Their campaign also has a lot to learn from. We end the article by saying that your site or product, which the audience is redirected to, must be optimised and well-built for influencer marketing to do its job. Make sure everything on your store is primed for sales *cough cough* Use Spocket products *cough cough* - and then let influencer marketing work its magic!